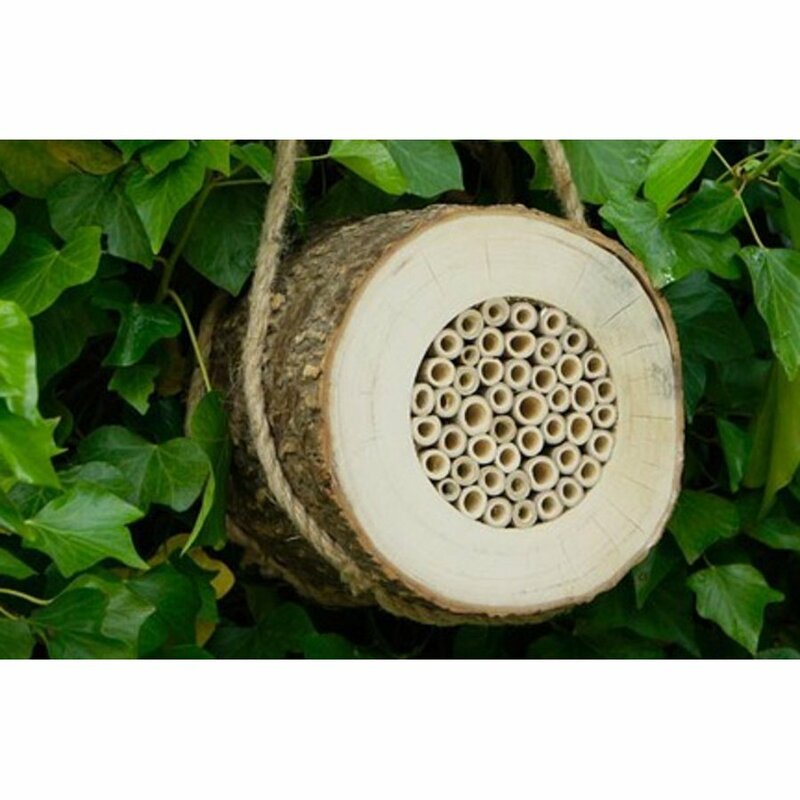 This sustainable pollinating bee log is made from FSC certified timber log and is perfect for encouraging solitary bees to visit your garden and lay eggs. Solitary bees are non-aggressive, non-swarming and very valuable bees that pollinate the flowers in our gardens. 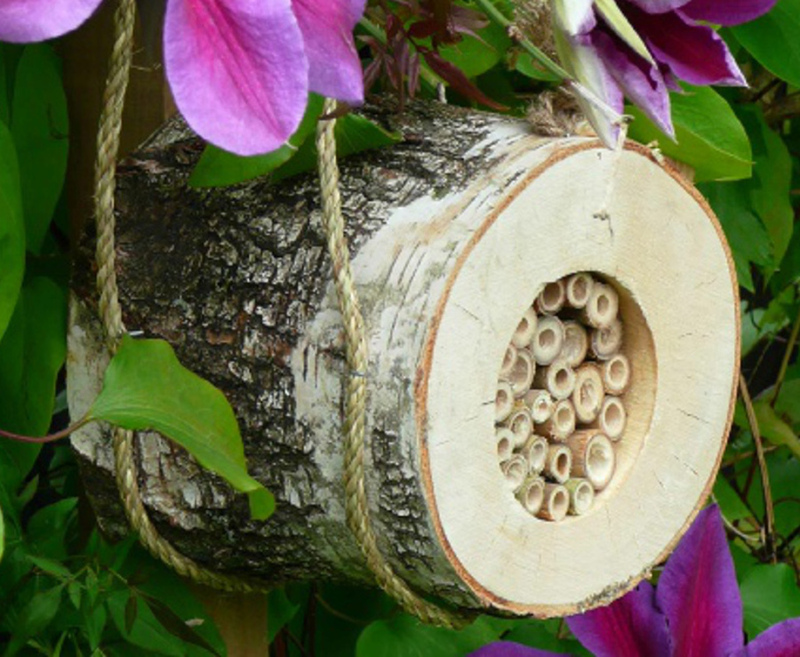 They do not work as a communal swarm which means they are safe to encourage in the garden where children and pets may be present. 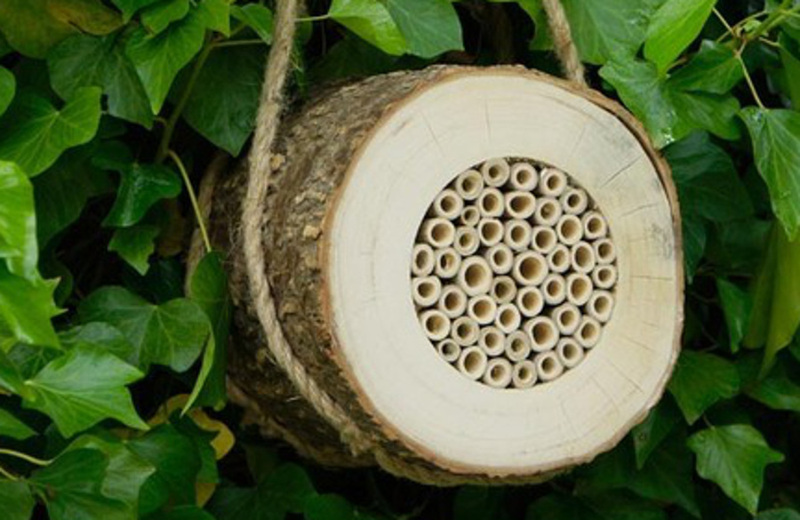 The sustainably sourced timber log with natural bark provides excellent insulation to the tubes which means it does not have to be moved inside during the winter months. 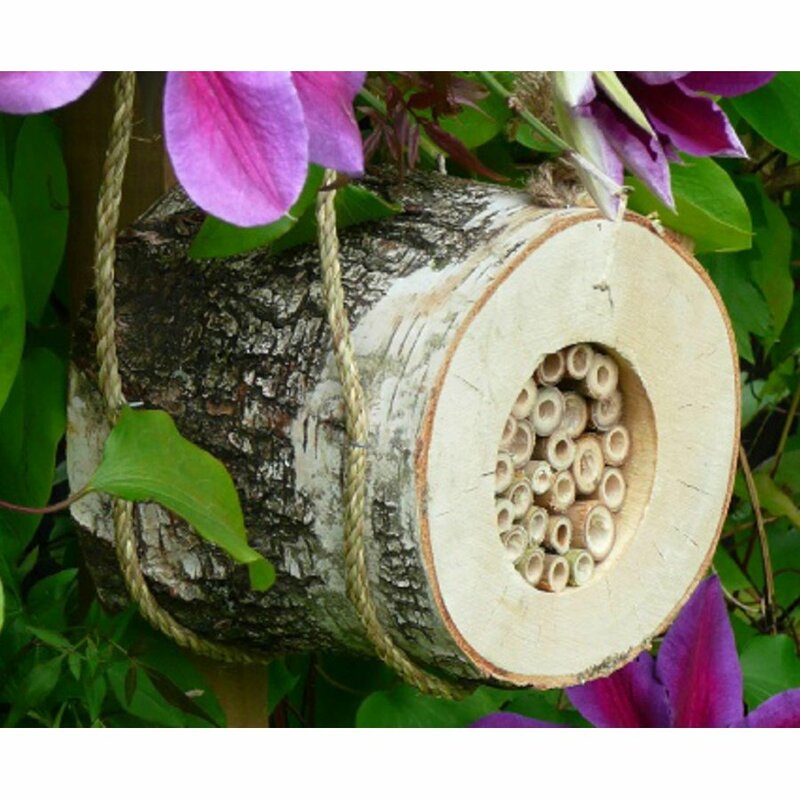 The tubes are natural drilled canes which are durable and can be used year after year, a perfect place for solitary bees to lay their eggs.